Only 94 in stock. Additional quantities will deliver at a later date. 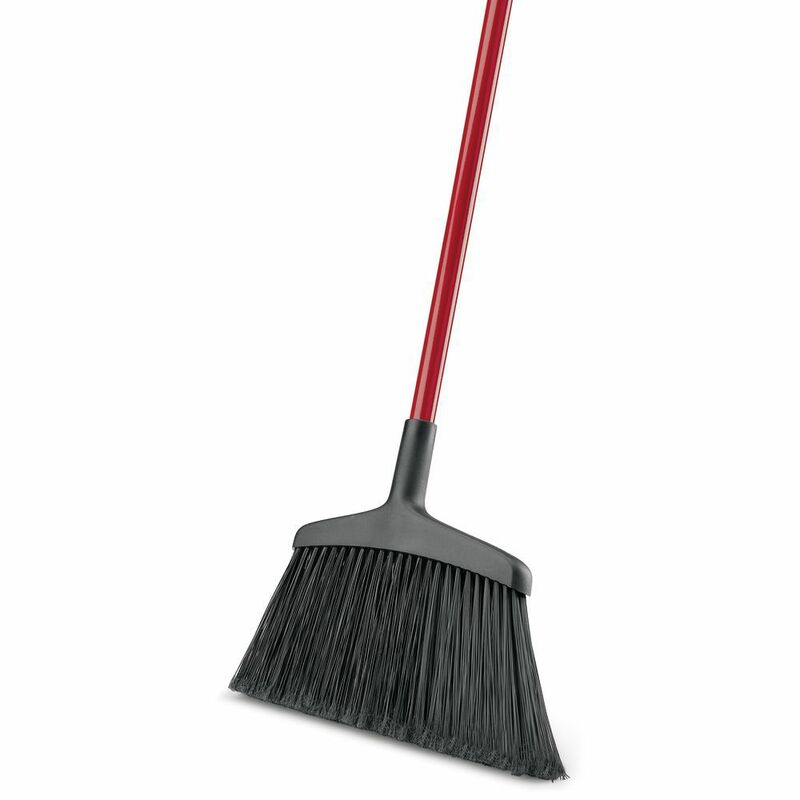 This 15" commercial broom has 7" long stapled flagged fiber bristles that are designed for multi-surface applications. The PET fibers are environmentally friendly, stiffer and eco-friendly. This commercial broom features a one-piece, solid resin block. The 55" handle is composed of 70% recycled steel and includes a hanger hole for convenient storage. This commercial broom is manufactured in the United States. HUBERT® dust pan is made from metal to withstand daily use. This cleaning tool has a hanger hole for easy storage. This dust pan has a black finish to keep it looking newer for longer. The pan size for this cleaning device is 12 x 7 x 3/4 (L x W x H). This dust pan is 13 1/2" (L) from handle tip to edge.